NEWLY-APPOINTED Lesotho Defence Force (LDF) Commander, Lieutenant General Maaparankoe Mahao, escaped unharmed when unknown gunmen attacked his Koalabata home yesterday morning. 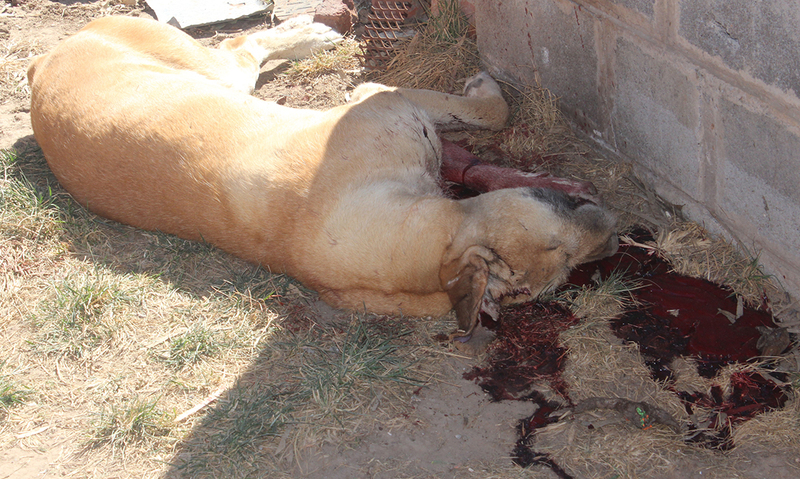 Brigadier Maaparankoe Mahao’s dog was shot dead during the attack. Lieutenant General Mahao was appointed the new LDF boss on Friday, taking over from Lieutenant General Tlali Kamoli, according to an Extraordinary Government Gazette Volume 59 published on Friday 29 August 2014. According to a family spokesperson, Lehloenya Mahao, the gunmen attacked the residence “for almost 30 minutes” from around 4am, smashing four vehicles in the yard and killing one of the family’s three dogs in the process. The new army commander was in a toilet located a few metres from his home when the gunmen opened fire, Lehloenya said. “It’s only by the grace of God that he, and his family, are still alive considering the many bullet-shells that are scattered around the house,” Lehloenya said, as he took the Sunday Express crew around the residence at around 11am, while neighbours, relatives and friends continued to visit the visibly shaken family. “My brother was in the house with his wife and three children aged 15, 11 and five years when he sensed that something was not right at around 4am, and went out to see what could be the problem. “He then went to the toilet, which is a short distance from the house, and while he was inside, the shooting started. “He could not leave the toilet because of the sustained shooting which he said lasted for close to 30 minutes. “Because the family has been taught how to react under such a situation, no one uttered a sound during the attack because the moment you cry out, the attackers will know exactly where you are hiding and then target that particular area. Lehloenya said his brother had since gone into hiding, while his wife and children were still at home when the Sunday Express crew paid the family a visit yesterday. However, Ms Mahao declined to grant the Sunday Express an interview about the attack. Lehloenya said: “My brother is in hiding as we speak because we don’t know what will happen next. Right now, it’s around 11am, and the police have not been here to look at the scene because when one of my brothers passed through Ha-Mabote Police Station, he realised the place had been taken over by soldiers, and there was no police officer in sight. “The whole family is traumatised, and as you can also see, some neighbours, relatives and friends are here and visibly shocked by the attack,” he said. Lehloenya, who lives in the same village of Koalabata, said when he heard the shooting, he had immediately called his brother to find out if he was safe. “When I heard the shooting, I suspected my brother could be under attack, so I phoned to find out if he was safe. When he later picked up his cell-phone, he told me that his home had been under attack from unknown assailants, but that he was safe, including the rest of his family. “The phone-call was very brief, as I could sense he was still tense and unsure whether the attackers had really gone away. 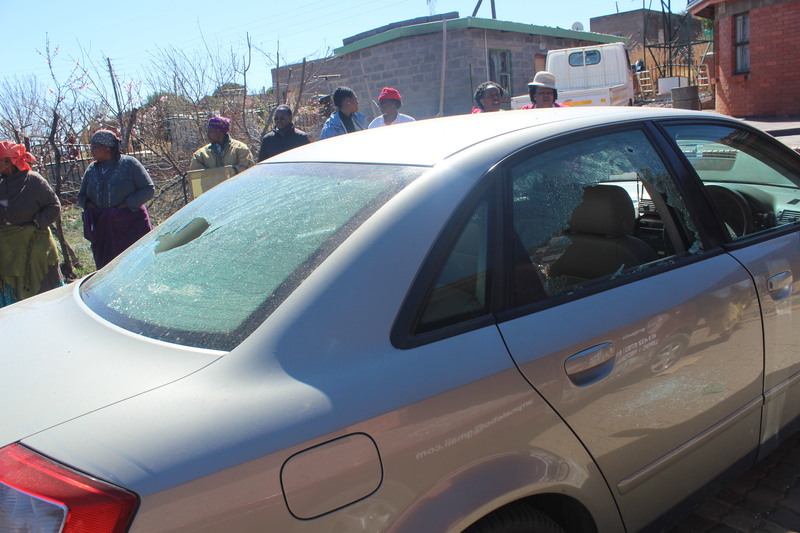 “I waited until 6am and then came here, and we started inspecting the damage that had been done during the shooting, which as everyone here can see, is quite extensive,” Lehloenya said. Pressed if the shooting could be linked to his brother’s appointment as army boss, Lehloenya said he had not had time to discuss the promotion “as the situation was so tense in the morning when I came here to see him after the attack”. 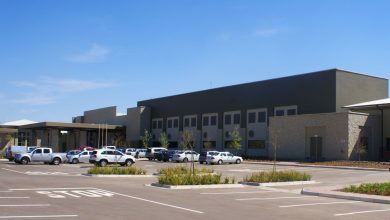 On measures taken to protect the family after such an attack, Lehloenya said: “We are lucky that no one has been injured, but it appears there is someone who wants my brother dead, so we need to make sure there is security around the family. “This cannot be an attack by mere criminals, but a well-planned assault, which has however, failed to achieve its intended purpose because my brother and his family are all safe. But we cannot take chances; we need to do something to make sure the family is safe because they might not be that lucky the next time such an attack takes place. Contacted yesterday for comment, LDF spokesperson, Major Ntlele Ntoi, told the Sunday Express that as far he was concerned, Mr Mahao could not be promoted (from Brigadier) and become LDF Commander as he was currently under suspension and facing a court martial. The then Brigadier Mahao was suspended on 15 January 2014 and dragged before a military court for allegedly “behaving in an unbecoming character of an officer, contrary to Section 75 of the Lesotho Defence Force Act 4, 1996”. The charge came after Mr Mahao had allegedly argued with Commando Captain Tefo Hashatsi over social media speculation about a possible change of the LDF leadership on 13 January 2014. In addition, Mr Mahao is alleged to have acted in a manner “prejudicial to discipline” when he allegedly threatened Captain Hashatsi over the issue. In his defence, Mr Mahao told the court martial he had the responsibility, as a senior army officer, to reprimand his subordinates whenever he thought this action was necessary. However, the court martial has still not made its ruling regarding the case — a fact pointed out by Major Ntoi yesterday, when disputing that Mr Mahao was now a lieutenant general and LDF boss. “He is an officer of the LDF who is still facing a court martial and there is no way an officer of the army would be promoted while he is still appearing before a court martial,” Major Ntoi said. However, Major Ntoi would not comment about the attack on the Mahao residence.